Are you looking to measure yourself and test your skills in Madden 18 against the best players in Mexico? The Madden Challenger is the perfect event to know the limit of your abilities and, in passing, to be able to win the chance to measure yourself with the best gamers of the planet in a world tournament. 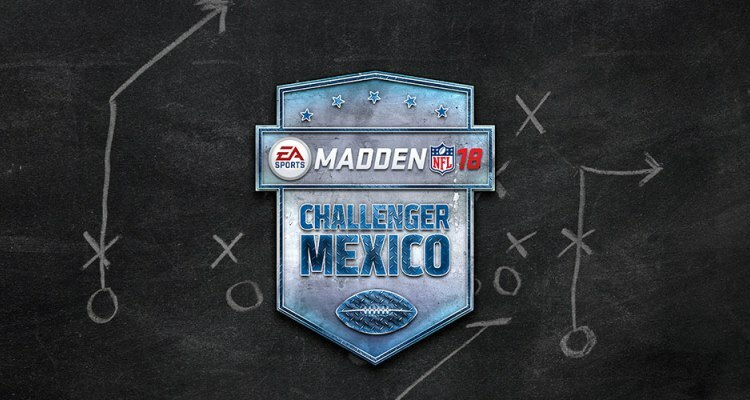 To register, all you have to do is click on this link http://maddenchallengermx.com/ and fill in the information requested there. You will be sent a confirmation email to sign up and from November 6 you can participate against the best gamers across the country. The online competition will take place from November 6, 2017 and until November 12, 2017, the final stage will be live, on November 18, 2017 at NFL Fan Fest in the Zócalo of Mexico City. In First and Ten, besides participating in the tournament, we will cover the finals from the Zócalo and we will have the final stream. What are you waiting for, the deadline to register is November 4, 2017.